1978 FJ40 as Grand Prize ! Home > Land Cruiser Sales > FJ40s > 1978 FJ40 as Grand Prize ! 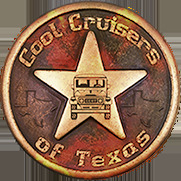 A restored FJ40 by "Cool Cruisers of Texas" has once again been selected as Grand Prize for the huge Toyota Factory Dealers' Sale presented by Gulf States Auto Auction. Many Thanks!